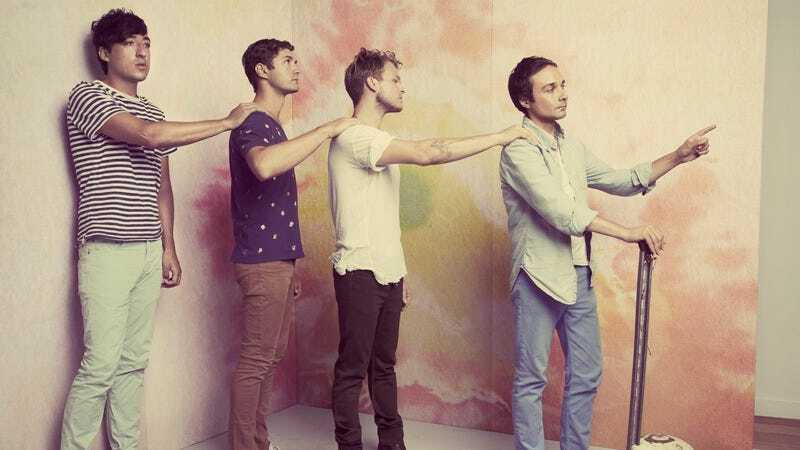 It’s hard to believe it’s been five years since we last heard anything from Grizzly Bear, whose 2012 album, Shields, feels like a lifetime ago—the way so many things do right now. So what a pleasure it is to be reminded of just how much the band was missed: “Three Rings” is the first offering from an album whose title has yet to be revealed, but whose general direction singer Ed Droste has described as “more adventurous” than the last. Considering the group’s way with layered compositions that seem to breathe and shape-shift like liquid light shows, that’s no modest declaration. Here, Droste’s voice patiently wends its away around Chris Bear’s shuffling, free-jazz drumbeat, Chris Taylor’s fuzzed-out bass, and Daniel Rossen’s cascading, unmistakable guitar lines, with Droste singing, “Don’t you feel it all come together?” as the song reaches a transcendent peak that instantly ranks “Three Rings” among the band’s best. No release date has been announced yet, but now we know what to look forward to.